The Miraculous Bible: How would you PROVE the Bible is from God, scientifically? Is there scientific proof that the Bible has a miraculous Source? Famous scientists (Isaac Newton, Johannas Kepler, Michael Faraday, etc.) understood the Bible has a miraculous Source, so they used their Bibles to bust the myths of the "modern science" of their day. Will you be a mythbuster like they were (1 Thess. 5:21)? Isaac Newton's belief in the Bible was so well known that the government asked him to _____ because the people trusted him. 3400 years ago Moses wrote about wooden bowls being better than pottery (anti-bacterial). Job described a feature on the bottom of the ocean floor (average 2 miles deep). How did they know that? See the video. New short videos by World Video Bible School here (See amazing archaeological discoveries, incredible scientific facts, … ). Was the Big Bang Just Proven? Our 16 foot model of Noah's Ark. Famous mythbusters (like Isaac Newton) used the Bible as their Treasure Map in doing their science. Can you prove the Bible is from God (Psalm 18:30, 1 Thess. 5:21)? These Myth-Busters did! What scientific facts were in the Bible, long before man discovered them? 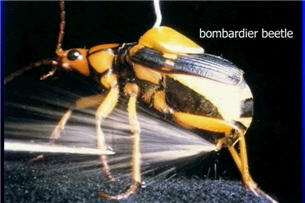 See the Videos & Scientific Research Articles. Evidence that Bible believers did better science and were the mythbusters of their day. Example: Isaac Newton wrote 1,300,000 words on the Bible and studied his Bible more than he did science, and much more. Evidence that starting with the Bible leads to better science, even today. All 40 measurements of American society got worse right after 9 unelected judges (US Supreme Court) removed the Bible and prayer from the public schools. The writings of mankind have always contained scientific errors. When the Bible was completed (2000 years ago), how did it avoid repeating the scientific errors of mankind at that time? Many men of science have always attacked the Bible. But what have been the results? Come and see. Note the irony: The great founders of most branches of science said their science benefited and was guided by their following the Bible. They were in the minority then and so are liked minded scientists today. The majority of scientists have always rejected God's word, just like 1 Corinthians 1:26 said they would (wise according to this world). Look how much these few scientists were able to accomplish (Ecclesiastes 2:26) since they gave honor to God. Will you? Let us compare the accuracy of man’s best historians, with the Bible. Has man ever been this accurate? ... press here for the full article (or download the PDF). The Bible is a collection of 66 books written by 40 different authors, on three different continents, in three different languages, over a period of 1500 years. Yet all 66 books have a marvelous unity. ... 40 men have never written with such unity and agreement. ... Press here to see the graphical cross references diagram and the full article (or download the PDF flyer). ... the evolutionists were not silenced until Mr. Pasteur showed the public his famous swan neck flask experiments (1862). Then the “common” people easily understood what has now become called the Fundamental Law of Biology: “Life only comes from preceding life and that of its own kind.” The public’s understanding of this law finally silenced the evolutionists. Why didn’t the evidence itself convince the evolutionists? Just like today, until the public understands the impossibility of evolution, the evolutionists (who control most of the sources of information in our culture – TV, newspapers, public schools, universities, etc.) will not give up their theories. Before we can understand this signature of life, we ... Press here to see the full article (or download the PDF flyer). Why Do We Want Proof? How would you prove the Bible is from God? What would prove the Bible itself is a miracle? Or what would be considered as evidence it could only be from God? As one writer said, "When you have the truth, education is the surest way to win the war of ideas." The Bible says only those who have a love (willing to sacrifice) for the truth will be saved. Others will believe a lie (2 Thess 2:10, Rom 1:20, 25). A Christian's faith (PDF & video on Faith) is based on the evidence of the power of God, not persuasive words (1 Cor 2:4-5). First century Christians had evidence that the message preached was from God by the demonstration of miraculous powers. We have a more complete evidence today through the miraculous Bible. 1 Cor 13:8-12 shows that miraculous powers would cease when that which is perfect (meaning complete) has come. That which is perfect (i.e. the Bible) has come. James 1:25 says the Bible is the perfect law of liberty. So how do we prove to ourselves and others that the Bible is miraculous (Psalm 18:30, Rom 1:20, 1 Thess 5:21)? 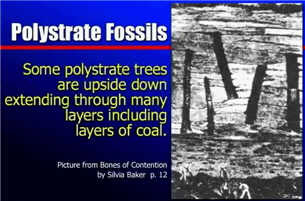 We can prove it using history, medicine, prophecy, archeology, paleontology, biology, physics, chemistry, etc. Evolutionists hide the many miracles required by their theories (their myths). How often does upward evolution require miracles? You may be surprised to know that upward evolution requires miracles more often than Creation. And evolutionists do not have any proofs that their miracles actually occured. Yet the Bible has many proofs that it is a message from a God that worked miracles. Test (2 Samuel 22:31, 1 Thess 5:21) these evidences for yourself. Think for yourself. True science has never relied on the majority opinions of educated men. Loius Pasteur could not get educated men to accept what is now called the fundamental law of biology (life cannot come from non-life). He had to prove it to the public first. Only when the public saw the evidences clearly did the educated people grudgingly acknowledge the truth. Getting life started requires a miracle. Therefore evolution requires yet another miracle. Yet the public is mislead into thinking evolution does not require miracles. Which miracles will you believe in? I will believe in the miracles that have the evidences to back them up. Other evidences from Apologetics Press (over 150 in-depth articles with technical references) and from Christian Courier (100s of articles). Apologetics Press caution: Dave Miller (Ph.D.) is the head of Apologetics Press. Many Christians would like Dave to sit down and discuss his past affiliation and teachings on elder reconfirmation (and other doctrines). So until Dave is willing to "give an answer" (as commanded in 1 Pet 3:15) many conservative brothers do not want to use his materials (without at least warning others about Dave’s possible errors). Christian Courier caution: Wayne Jackson is the primary author of the articles at the Christian Courier. In the last few years he has written a few articles about praying to Jesus, that need revising. See these articles if this subject is of interest to you. WVBS & Other Materials - DVDs, Books, etc. But, since 1962-1963, nine unelected government officials (Supreme Court) have re-interpreted (lied about) the Constitution and forced the separation of these evidences from the classrooms. Results: our students' science grades have gotten worse ever since. We now rank at or near the bottom in Math and Science worldwide (in competition with "civilized" countries). We used to have the number one education system in the world, from the 1600s until the mid 1900s. Let us return to the great Biblical heritage that our country was founded upon (See America's Godly Heritage flyer). There are many false religions in this world. Even true religion has been distorted by man (denominations - see the historical documentation and locations. Examples: Sun worship & Infant baptism have pagan roots.). Evolution is just one of many false religions. Evolution is more like a poor Hollywood story, than science. We need to look for a religious and scientific system that has evidence. Man has always distorted the truth. Remember, the Bible predicted 2000 years ago that man would deny creation and a world-wide flood (2 Pet 3:3-6). Creationists Fight Back! A Review of U.S. News & World Report (Full version) ( by two authors who each have a Ph.D. in science ) It used to be that the only things certain in life were taxes and death. According to journalist Thomas Hayden, we now can add organic evolution to that list. 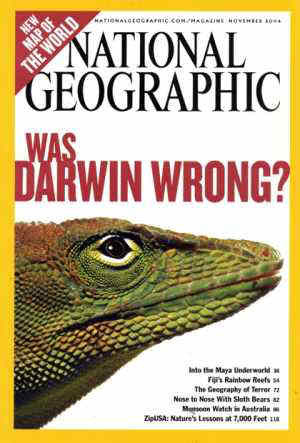 The latest effort to shore up the ever-faltering theory of evolution was the cover story of the July 29, 2002 issue of U.S. News & World Report.... Yes, the slick graphics and full-color photos presented in Hayden’s article are impressive. And yes, the diminutive amount of alleged scientific evidence tossed in for good measure no doubt will convince some unsuspecting readers that evolution is indeed a “fact.” But the actual evidence tells an entirely different story. Sadly, this type of grandstanding and propagandizing in the media occurs all too often. And many people accept it as the “final word” on the subject—without any real knowledge as to what the evidence truly reveals. Given that millions of people read and respect U.S. News & World Report, we felt a thorough review of “The New Reality of Evolution” was in order. Someone needs to tell—if we may borrow a well-known phrase from respected news commentator Paul Harvey—“the rest of the story.” Here is that story. One such theory is the Day-Age Theory, which suggests that the creation days in Genesis ... scenario, a critical part of which is an ancient Universe and/or Earth. Apologetics Press - Which Came First, the Pyramids or the Flood? Liberals and compromisers must love telling lies. Or maybe they would like to tell the truth, but they cannot get the truth to fit their agenda. For 50 years, Americans have been lied to about America's Christian type heritage. These liars ignore the monuments, writings, congressional records, Declaration of Independence, Constitution, Bill of Rights, Founding Father's personal writings, Supreme Court decisions, names of cities, presidential declarations, etc. from America's founding years. Many of the textbooks and media outlets make claims such as: our “national government was secular from top to bottom,” or that the Founders “reared a national government on a secular basis.” This is a total lie. But how are you to know? Download our flyers such as "America's Godly Heritage" or "God Said Vote." or see these free online videos (The Silencing of God, etc.). You will NOT have to sign up or give us any information to watch these free online videos. 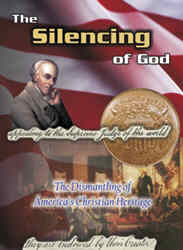 Here is a link to many articles on America's Godly Heritage, by Apologetics Press. Dr. Miller also has some excellent lessons and videos on Islam & Muhammad (Articles, DVDs, online videos). This 2 DVD set has five sessions @ 55 minutes each -- over 4 1/2 hours of eye-opening material. Or watch free online. There is a new website with over 17 pages of just links (to 100s of articles, videos, and audios) on just one subject, BAPTISM. It includes recordings of live TV call-in shows, 4 night debates, PDF articles, audio recordings, etc. It uses only the Bible to answer your questions on baptism. Many have been falsely taught that we are not to judge. Yet, Jesus said in John 7:24 "Judge not according to the appearance, but judge righteous judgment." Proverbs 25:9 says "Debate thy cause with thy neighbor himself..." (KJV). Jude 3 "... ye should earnestly contend for the faith ...". Acts 17:2 "... Paul ... reasoned with them out of the scriptures." Acts 24:25 "And as he (Paul) reasoned of righteousness ... Felix trembled, ..." See WhyBaptism.org., The Truth About FAITH, and also see Searching for Truth. Many people reject God because they have been taught a lie on the subject of evil pain and suffering. The Problem of Evil, Pain, and Suffering (David Lipe, Ph.D.) See online video here.